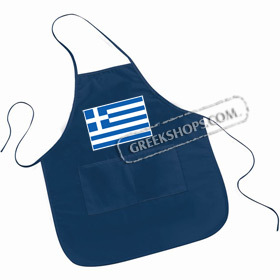 Greekshops exclusive Greek Flag navy blue apron with two large pockets. Straps tie in back, allowing the apron to adjust comfortably for men or women. Please note that the design dimensions may vary slightly from the picture.